You've most likely seen the pictures, but you haven't truly seen Uluru until you've watched it change color as the sun rises or sets. Commonly known as Ayer's Rock, this massive piece of sandstone with a circumference of 9.4 km (5.8 mi) rises 348 m (1,142 ft) out of the flat Australian Outback. Take a walking tour with a local Anangu guide to learn about the native plants and animals and the spiritual importance of this natural wonder. Be here at dawn or dusk and discover just how many different shades of red exist. By using our Uluru-Kata Tjuta National Park day trip planning website , you can arrange your visit to Uluru and other attractions in Uluru-Kata Tjuta National Park. It is recommended that not only to the 11:00 summer is the Valley of the wind, go early in the morning. Why in the morning just irrelevant? Okay, done. So thought is better than walk around Uluru still shadow some because there is still desert was the intense heat. Still, the Valley of the wind was heard only the sound of the wind, a little cooler in a quiet and mysterious this. Walks and views of the different deep feeling. Walk down the long gravel, think climbing Mountain shoes is so large it is also possible that. Amazing. It's a shame that only tables of 10 are available the dessert dinner. We were put with 4 other couples which is not ideal for honeymooners. The option of our own table would of been nice. Beautiful area to visit. I'm pretty sure you aren't allowed to climb Ayers Rock anymore, but a walk around the base is incredible. We happened to be there when it was raining which was just MAGICAL! We didn't get to see what everyone else saw (the sunset) but we saw what no one else did (the waterfalls!). The area is so rich in culture. It's amazing! Yesterday we were with a company called Emu Run that picked us up around 11:30 a.m to go visit the famous Uluru. My wife and I were very happy with the service and the other stops we visited before heading out to our last stop that was Uluru. The photos are us getting ready to have our dinner as we watch the sunset. They fed us lunch and snacks in between and they kept us hydrated with unlimited water refills underneath the bus. I recommend booking with Emu Run if your looking for a great tour of the Uluru and the aboriginal culture! So much fun. Awsome. Terrific. On Ayes rock, once you get past chicken rock. Its a full blown memory that you won't forget. Every day, we help thousands of travelers plan great vacations. Here are some tips on how to use your Listing Page to attract more travelers to your business - Uluru. Promote your permanent link - https://www.inspirock.com/australia/uluru-kata-tjuta-national-park/uluru-a69758363 - on your website, your blog, and social media. 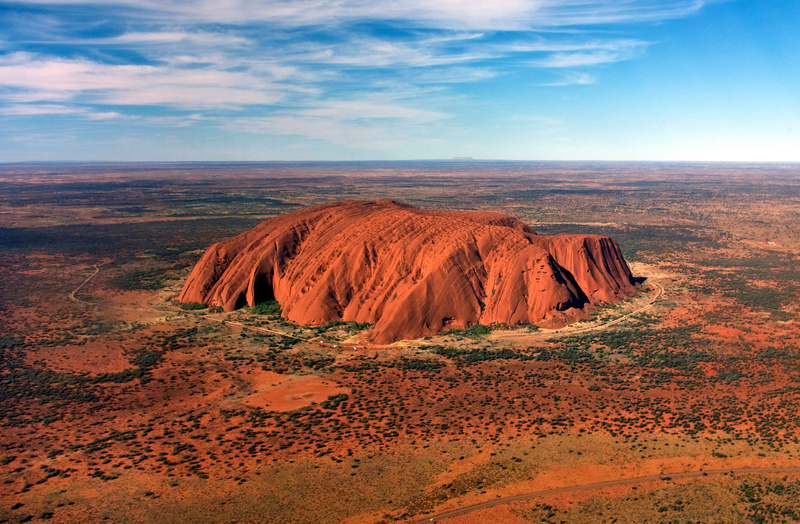 When a traveler builds a plan from this page, the itinerary automatically includes Uluru. 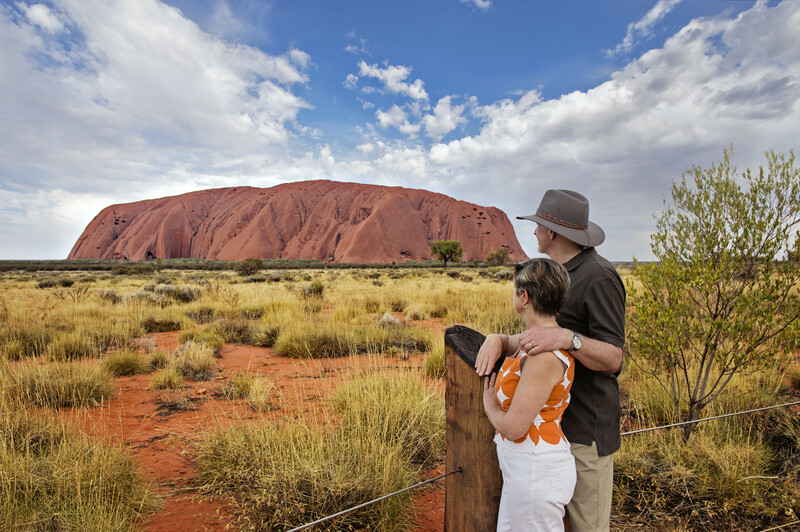 This is a great way for travelers looking for a great vacation in your city or country to also experience Uluru. Promoting your link also lets your audience know that you are featured on a rapidly growing travel site. In addition, the more this page is used, the more we will promote Uluru to other Inspirock users. 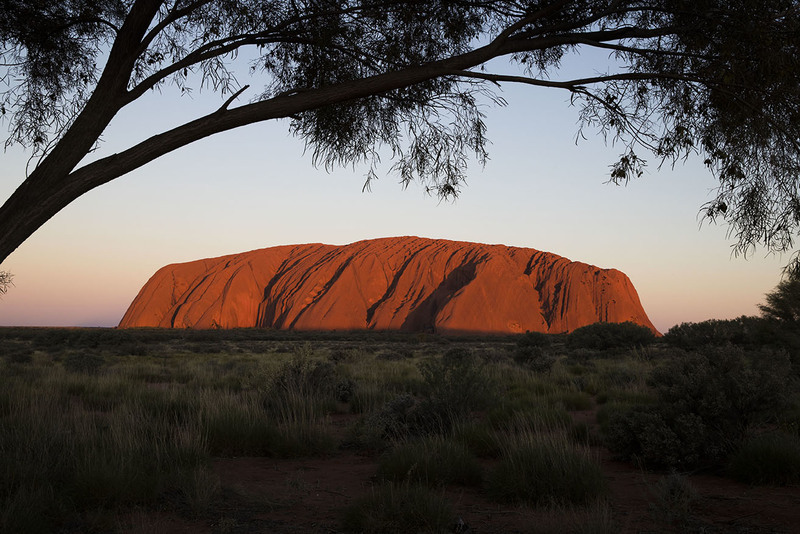 For best results, use the customized Trip Planning Widget for Uluru on your website. It has all the advantages mentioned above, plus users to your site can conveniently access it directly on your site. Visitors to your site will appreciate you offering them help with planning their vacation. Setting this up takes just a few minutes - Click here for instructions.